Hello! My name is Michael Briscoe, and I am an Independent Software Developer! With over 30 years of programming experience, my platforms of choice are all Apple, from the Macintosh, iPhone, iPad to AppleTV. I started programming in BASIC as a hobby on my Commodore 64, way back in 1984. When I bought my first Mac in 1987 it came with a free-form development tool called, “HyperCard”. I was so amazed at how easy and fun it was to create, ‘Stacks’, that you could share with other Mac users. I pushed HyperCard to its limits, creating a suite of in-house estimation tools for my small graphic design business. Over the years, I’ve tried other content creation tools, and scripting languages, such as, “Director”, and “Flash”. I enjoyed learning, and using them, to create small games, simulations, and presentations. I eventually outgrew these animation scripting applications, and decided I wanted to learn a, ‘real’ programming language. So I set a millennial resolution in the year 2000 that I would learn “C”. Luckily that was a good choice, because a year later Apple released its FREE “Cocoa” development tools, based on “C”. Since then, I’ve developed and marketed several screen savers, games, and other applications for the Mac. Back in the day before the iPhone, I experimented with the mobile computing platform, PalmOS. I was fascinated by the Palm Pilot! The idea that you could take a small computer with you anywhere, just blew my mind! 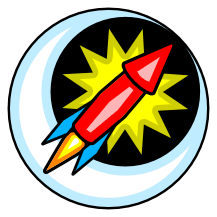 Soon I found myself writing code for Palm based devices, creating, “Pocket Rocket!”, a small fireworks sim. These days my heart lies firmly within the macOS, and iOS programming communities. I look forward to continuing my mission of creating fun, hand-crafted, high quality software! First I would like to say how happy I am to have found your new site! The old links and even a Google search could not find you. Anyway I am a big fan of your screensavers and have purchased several long before the “App Store” and was wondering if I need to repurchase some of my favorites or will my old codes, or if I can’t find them my PayPal receipts work? Thanks for your support! Yes, your old codes should still work. If you can’t find them, just send me an email with your PayPal receipt, and I’ll resend you the codes.